When referring to Hitler's horrible Holocaust, the Jewish people say, "Never again!" They declare they will never again march off to concentration camps and gas chambers without resisting to their last breath. However, the Bible prophesies that another Jewish Holocaust lies just a few years ahead. The bad news is that many Jews will once again be slaughtered. The good news is that not one of them has to perish if they will only listen to the warning. 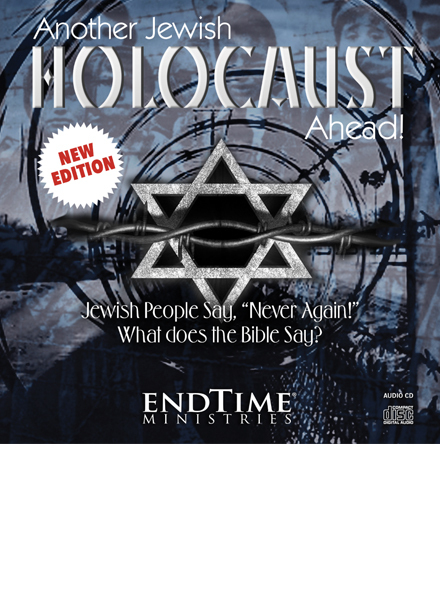 Endtime Ministries is determined to inform every single Jewish perosn on earth about the coming holocaust, and to tell them what they must do to escape. "Another Jewish Holocaust Ahead" is a message of warning for the Jewish people. But it is not a message without hope. Not one Jewish person on earth needs to perish in the coming holocaust! In this lesson, you will learn the prophecy and will know what the Jewish people must do in order to escape.